These days, it can be a challenge for many families to survive on one income, but let me assure you, it is possible! 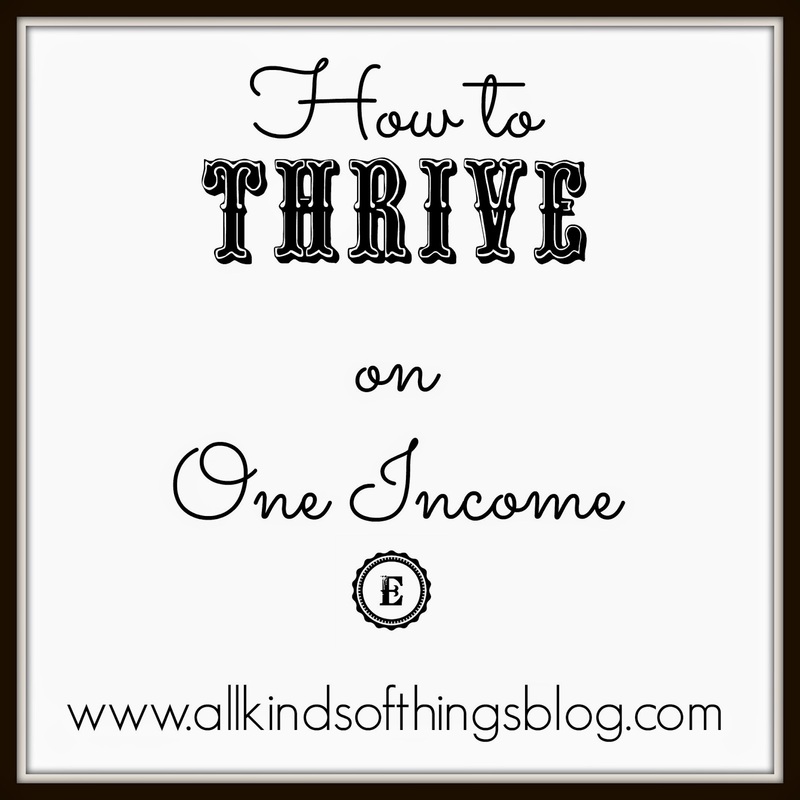 With a little effort and creativity, I can promise you that living on one income is possible and by following the guidelines that I'm going to share with you today, it is possible for your family to thrive! Disclaimer: This post was not written for families that have faced loss/tragedy and are experiencing exceptional financial circumstances. On another note, this post was not written for families who seek to maintain a certain lifestyle that requires additional income. 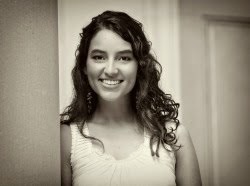 This is a general post intended for those who are looking for creative ways for their family to thrive on one income. I know first-hand that [whether you find yourself in plenty or want] in most situations, thriving is possible! Say no to debt! Avoid it at all costs. If you have it, do everything in your power to pay it off - yes, even if it means canceling the cable, downsizing your home, selling your second vehicle, etc. When you are released from debt, you feel the freedom to give and the confidence to save. Our priorities...Our goals...should go beyond tangible...beyond the here and now. 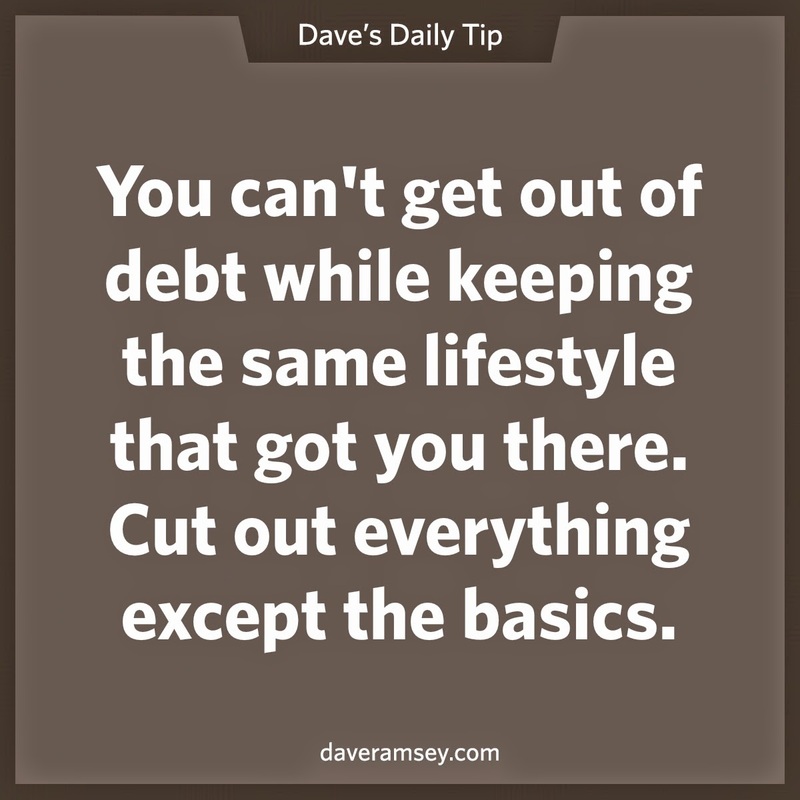 Dave Ramsey has a lot of great tips for individuals wanting to live debt-free! Someone...somewhere has sold us a bag of lies by telling us that we should live within our means; In order to thrive financially, it is important to live well below our means. 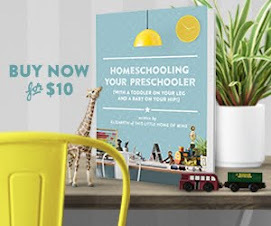 Of course this will look different for every family; but may I encourage you to avoid the temptation to make impulse purchases...to buy things just because the money is there to do it...to live in an effort to keep up with other people around you? I would challenge anyone reading this post to look beyond the moment and solely focus on what you can do to help your family thrive...no matter what onlookers might think of you. In My Collection of Money-Saving Tips, I share some of the practical ways we live conservatively. 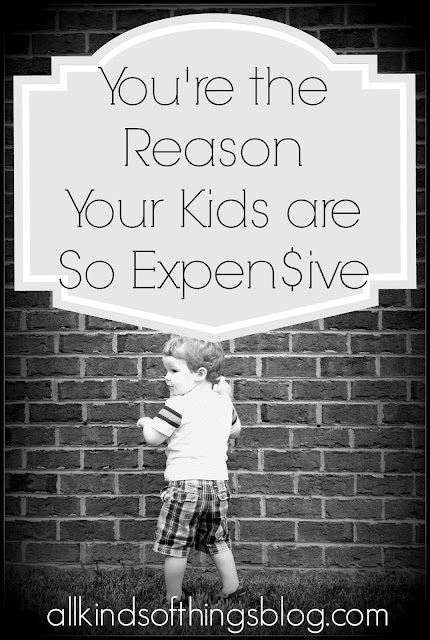 In a recent post published for the new year, I shared even more ideas for how we are saving money! We coupon...We buy ahead for our kids...We stockpile (to an extent)...We buy used...We cut corners...not always because we have to, but because we want to be wise and responsible with what we have. We want to have responsible control over our finances - We do not want our finances to control us. 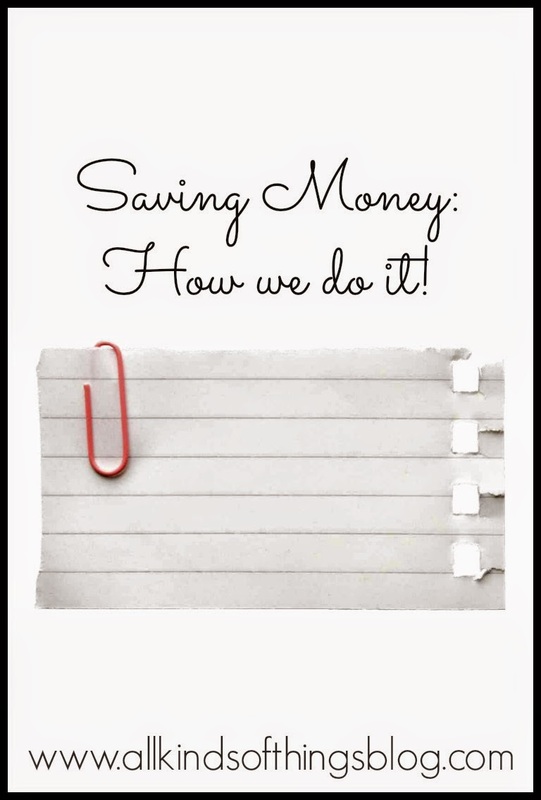 Saving Money: How we do it! Once again, it's not about how little or how much money you have...It's all about how you manage what you do have. 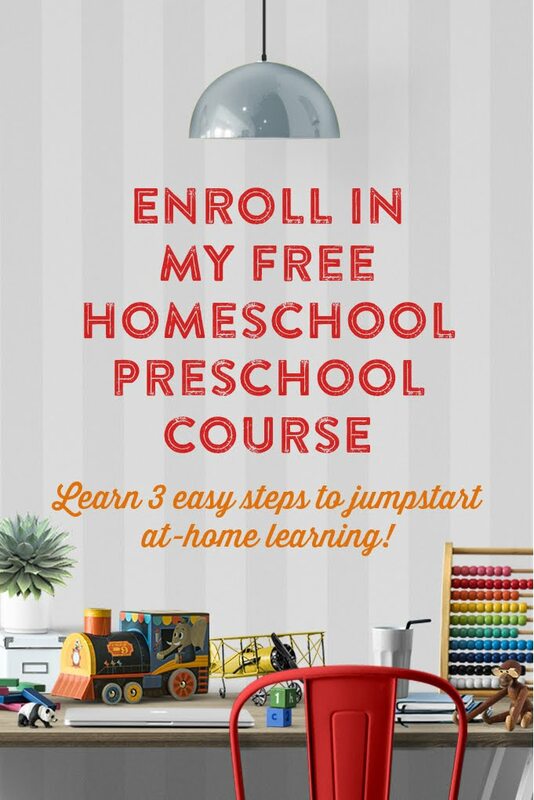 Maybe you are a stay-at-home mom - or maybe you would like to make the switch to stay home with your children - I would love to encourage you that there are some great options for things you can do from home to supplement your family's income. First off, let me say that carrying out the above tips is a full-time job in and of itself. You will supplement your household income simply by saving money! Secondly, is there something you love to do? A wise philosopher by the name of Kathie Lee Gifford (smile) has quoted her father who always told her "Find something you love, then figure out a way to make a living doing it." I think there's a lot of truth to this advice! I love resale...I love blogging...I love photography...These are areas where I have been able to supplement our family's income. What does this look like for you? 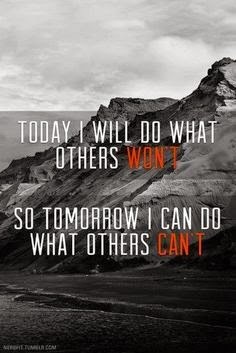 It will definitely look different for everyone, but don't be too hard on yourself. We ALL have gifts and talents that can be used in creative ways. 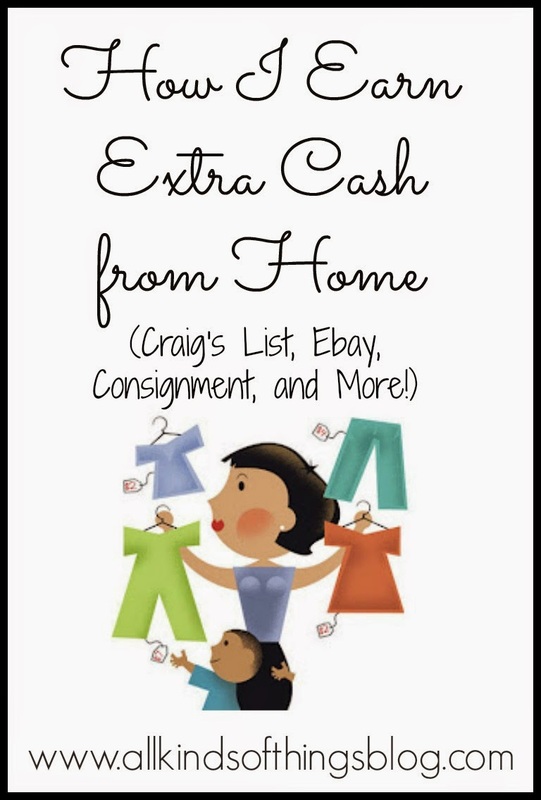 If you feel called to do a little something extra from home, there are lots of fun options! Follow All Kinds of Things's board All Kinds of Things - Thrifty Tips on Pinterest. Would you like to share a glimpse in to how your family is saving money, tackling debt, or saving for the future? Hop over to my Facebook page and share your tips!